I’m not always the kind of mother that I’d like to be. Some days I’m not even close. It’s not that I think I should be perfect. But there are days–like today–when I use words that I shouldn’t and silence where I should have used words. Lucky for me, it’s almost Rosh Hashanah. I’m a good enough mother to know when I need to ask forgiveness. 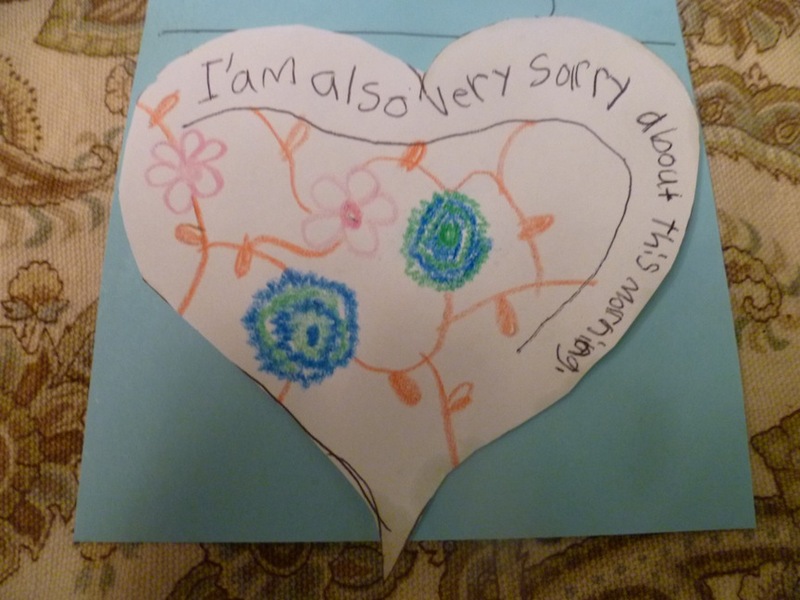 A kind apology note helps. So do apple cinnamon forgiveness bars. Looks like my apology worked. Here’s to a sweet, happy and healthy new year to all of us! 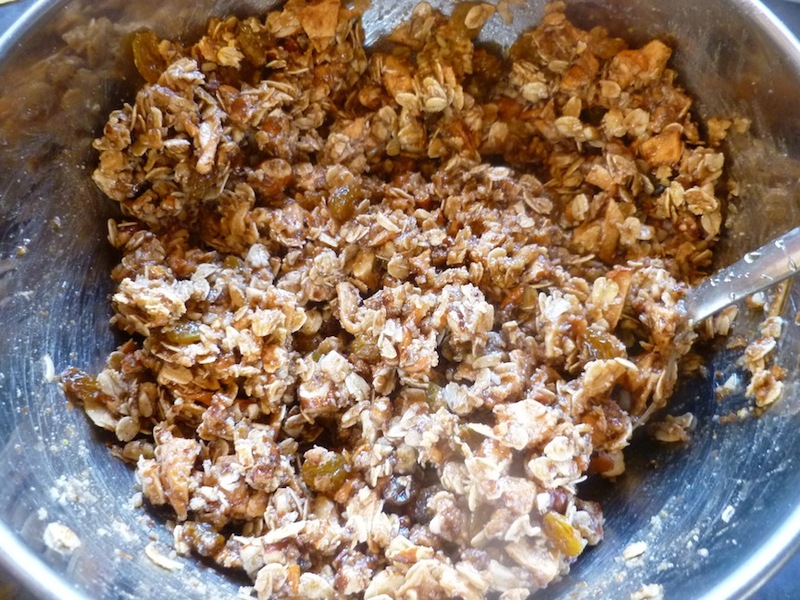 Make your flax egg in a small bowl. Mix the remaining ingredients in a large bowl until thoroughly blended. Stir in the flax egg. Bake in an 8×8 pan at 350 for 25 minutes. Let cool before cutting into bars. Check out other great recipes full of honey sweetness from this month’s Kosher Blog Linkup. All mom’s make mistakes, but it’s the really good ones that know how to say I’m sorry. 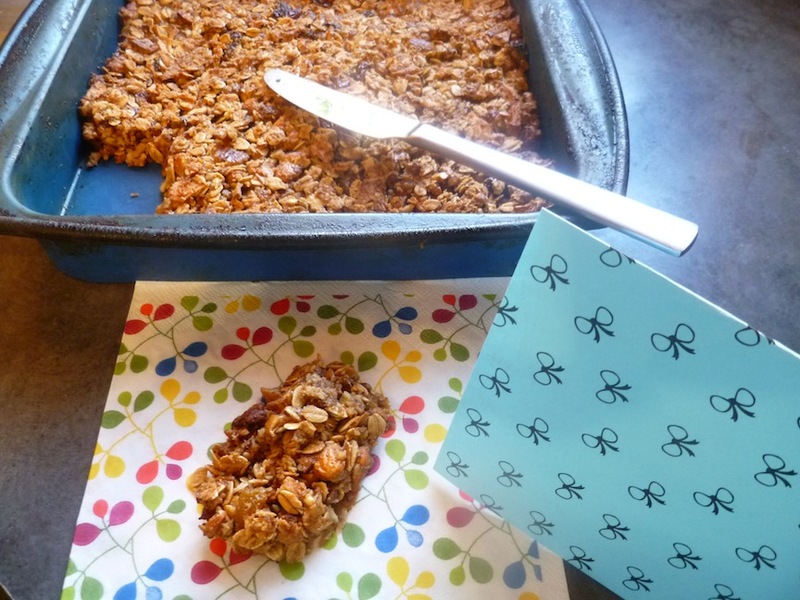 The granola bars look delicious! This would be such a great breakfast on the go. except they don’t last around here until breakfast! In our family we take the asking forgiveness seriously. Giving something that you have actually worked on adds a deeper dimension. Wonderful idea. We made these but didn’t know the temp… they came out delicious but kinda chewy.